Happy Thanksgiving to my lovely American and Canadian readers. I often wish the English had a celebration like Thanksgiving - big holidays = a good excuse for nice, over the top food. However, it shouldn't just be one day we reflect on the things we are thankful for. Being so far away from home has allowed me to reflect a lot on my life and the things I want to do. As it is Thanksgiving, I thought why not do a special post - the things I am thankful for everyday. 1. My Parents - I have always had a good relationship with my mum and dad; being an only child has made me very close to them. They support me everyday, through everything, no matter how big or small. My mum has a brilliant sense of humour and, despite her sarcasm, she is very comforting and the first person I go to when I have a problem. My dad and I are very similar in personality which unfortunately means we clash quite a lot but we still get on like a house on fire. My dad gives brilliant advice and bluntly knows how to do so - which, for me, is a good thing. I love the days we get to spend together, whether it's going shopping or just sitting together watching tv. My parents and I have a lot of fun and I am ridiculously grateful that we have this kind of relationship. Without them I would be a lost soul. They always know what to say, they always have my best interests at heart and they are so strong as a couple. I couldn't possibly emphasise how much I appreciate or admire them. 2. My Grandma and Grandad - my mums mum and dads dad. Two of my favourite people in the world and the two I look up to. My grandma is the most caring woman I've ever met; she loves me unconditionally and is always so pleased to hear from me. She has a crazy amount of friends and I hope I have her social life at that age (she's probably more sociable now than I am!). My grandad is my idol and means so much to me. He has so many stories that I could hear over and over again (mostly due to his forgetfulness now!) He has had such an interesting life and I love hearing about it. He makes me feel safe and happy - whether it's from mocking my Nana or trying to cheer me up when I've had a rubbish day. They are both brilliant people and very switched on for their ages. 3. My Friends - I've realised since I've been away how lucky I am to have my small handful of close, reliable friends. It's true that, with age, you realise who your friends are; the ones that keep in touch, help you make decisions and brighten your day with a little text. I probably have 6 or 7 people I can best friends and their friendship means the world to me. 4. My Degree - not just for 'that bit of paper' as my Nana calls it but for the experience and the friends I made along the way. I had my bad times but I had a hell of a lot of bloody good times. I miss my time in Sheffield dearly and hope to return one day. My degree is something I am very proud of and I still can't believe I have been a graduate for over a year now! 5. My Health - as I'm getting older, I realise more and more how important having your health is. The amount of people that have said to me 'oh I wish I had done that while I was young' is astonishing and really makes me feel fortunate to have youth and good health on my side. I'm going to make even more of a conscious effort to look after myself while I am still in Australia. 6. My Life Experiences - I have had a very, very fortunate lifestyle. My parents have taken me to some fabulous places (Brazil, Kenya, Israel, Borneo, The Carribbean...the list goes on) and I am so happy I have been able to have those experiences. 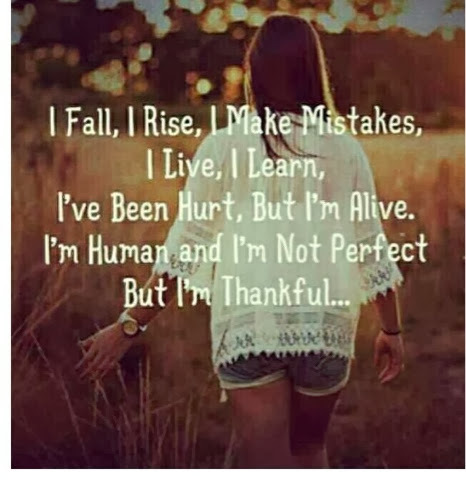 I'm also thankful for the day to say experiences I have been through, even the bad ones. While the good ones have been fantastic, the bad experiences have taught me a lot about myself and rather than seeing them as 'bad' or with regret, I've been trying for a while now to see them as learning curves. If it wasn't for these types of experiences, I might not have taken the leap of booking my one way ticket to the other side of the world.